A small cellar area has been created at the terrace’s level in order to organize some wine and food tasting sessions of the Tuscan region. You can taste the extra virgin oil of our own production and regional wines such as the classic Chianti (red), the white as well as our delicious regional dessert wine named “Vin Santo”. 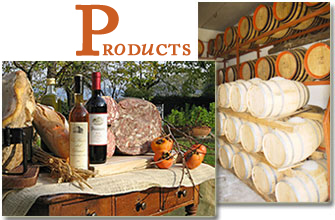 You will also have the opportunity of tasting our traditional Tuscan specialties.